Running Medicine is based on the understanding that running and exercise are beautiful and potent medicines for mind, body, and spirit. Formed as a program of the Native Health Initiative, our vision is to create a culture of wellness through a supporting, loving community. Walkers and runners of all ages, speeds, and fitness levels are welcome! With both downtown and westside locations, we meet Tuesdays and Thursdays at 5:45pm and Saturdays at 9am. 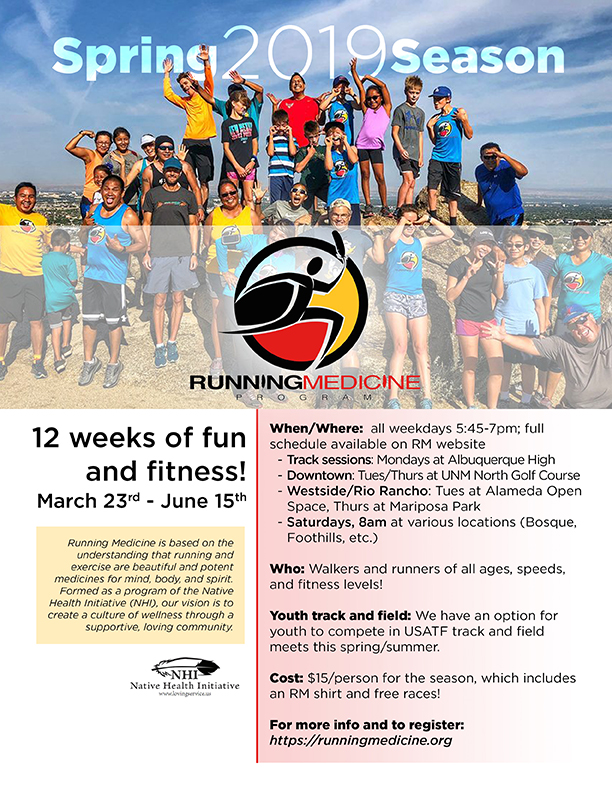 Coaches for youth, community, and competitive runners. Bring your family to register for the Spring Season! Cost includes t-shirt and several runs. See facebook or our website for more information.